Mayor Tate learns CPR and saves his wife. 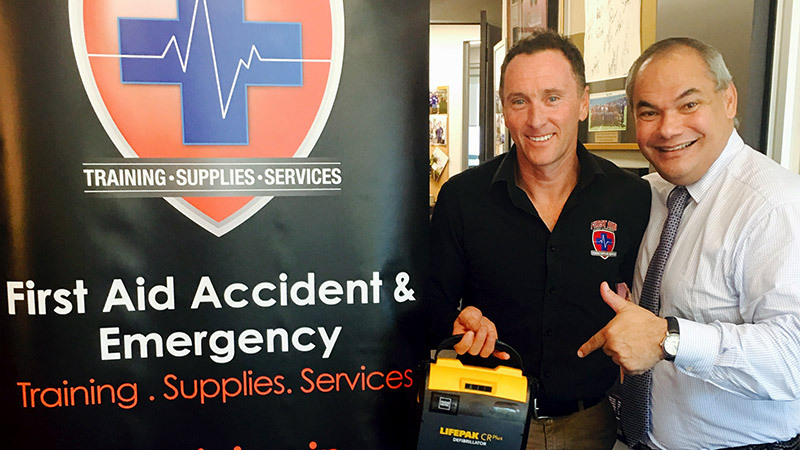 First Aid Accident & Emergency director, Scott Whimpey was contacted late last year by the Mayor’s office, the Mayor wanted a specalised CPR and first aid course, tailored specifically for himself and one of his team. 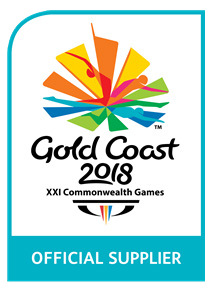 The Mayoral office was given FAAE’s details from sources in ‘industry’ that highly recommended Scott and his organisation as the ‘must do course’ on the Gold Coast. Little did the Mayor know that he would be putting his skills to the ultimate test, saving the life of his own wife after she collapsed from a heart attack in a Singapore airport last week. Whilst preparing to board a flight to Europe, Lady Ruth Tate collapsed in front of her husband without notice, at Changi Airport, suffering from a massive heart attack or MI. The Mayor went right into action, starting CPR and instructing others to retrieve a defibrillator, using the skills he had recently gained from Scott and his training with First Aid Accident & Emergency. “The first 10 minutes, or as referred to in the medical industry as the ‘platinum 10’ is critical for a successful resuscitation, Mr Tate has done an amazing job and his actions need to be commended from all accounts,” Scott Whimpey said. “It looks as though he may have achieved the ultimate outcome, saving the life of his wife”. Scott also said that often first responders are unaware of the importance of correct CPR and the use of a defibrillator, “I use live and interactive scenarios that show first responders what really happens in a heart attack situation, this gives the first aider an overall understanding of the bigger picture”. 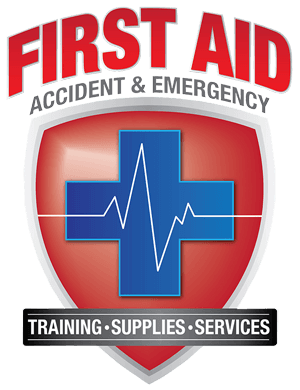 First Aid Accident & Emergency are in the privileged position of helping first responders act appropriately, our courses get results and this has been proven in this case. 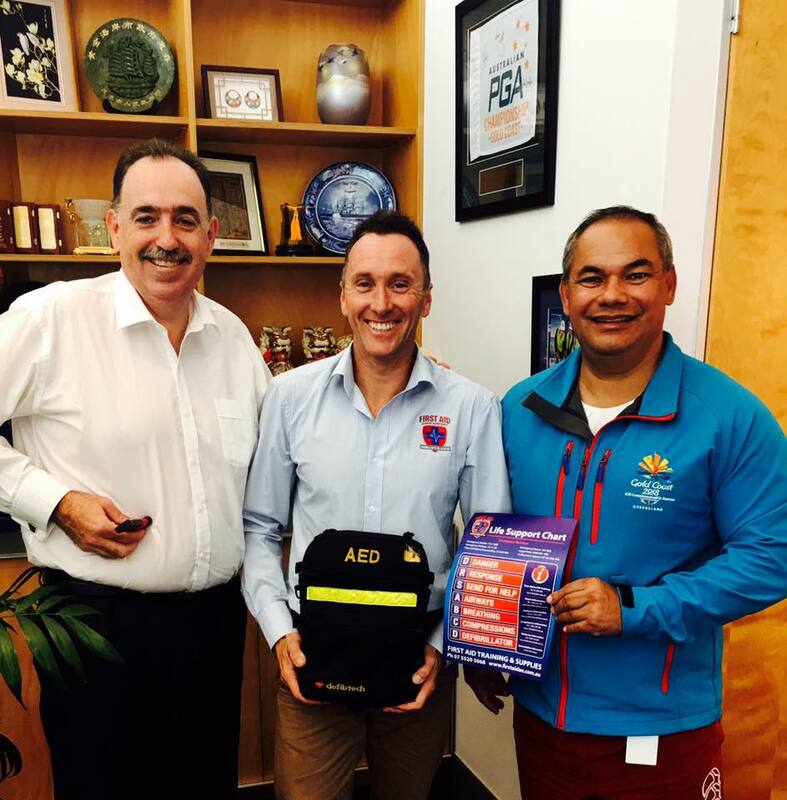 Scott’s organisation also resuscitated a student in a CPR class last year on the Gold Coast. The Mayor was grateful and thanked all involved soon after the incident, “This is the best thing I have ever learnt” said the Mayor in a personal message to Scott. He was thankful that he had these first aid skills and encouraged all Gold Coasters to follow suit. 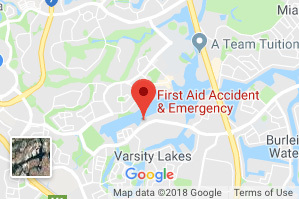 “Having experienced such a frightening incident such as this, I strongly urge everyone to learn CPR as part of a first aid course.” As quoted by the Gold Coast Bulletin. We are happy to report that Lady Mayoress Ruth Tate have arrived back on the Gold Coast and is expected to make a good recovery. If you would like any more information about our first aid courses or defibrillators, please contact our head office. 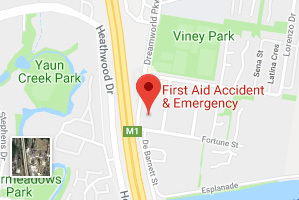 https://www.firstaidae.com.au/wp-content/uploads/2017/06/Gold-Coast-First-Aid-Mayor-Tom-Tate.jpg 960 944 First Aid Accident & Emergency https://www.firstaidae.com.au/wp-content/uploads/2018/07/firstaid-accident-and-emergency.png First Aid Accident & Emergency2017-06-30 22:01:172019-01-14 08:19:46Mayor Tate learns CPR and saves his wife.